With your website launched, it’s tempting to kick back and relax; unfortunately, the weeks immediately after a relaunch are the most critical for your website and online presence as a whole. Problems can quickly build and snowball as search engines crawl and index your new website, making it crucial that you stay on top of the process. 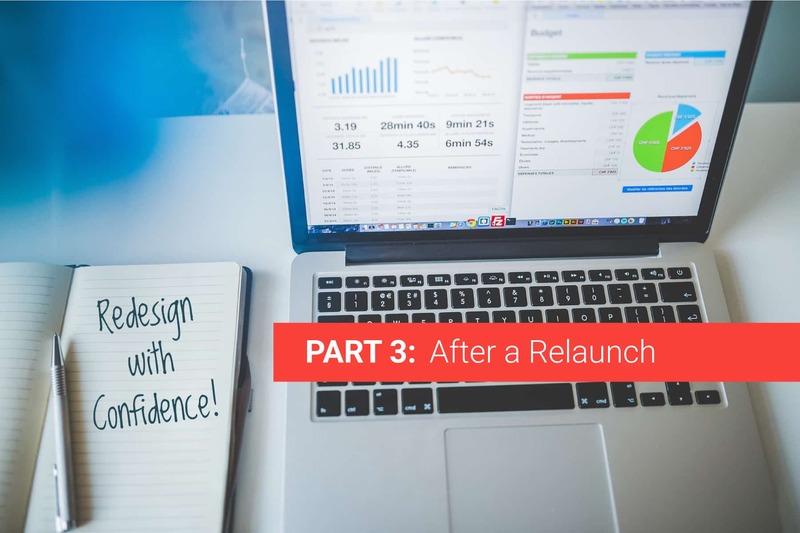 In the previous installment of our Redesign with Confidence series, we discussed the steps you should take immediately before and during a relaunch to safeguard your rankings and organic traffic. 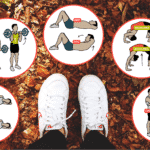 This post will give you step-by-step instructions on what to monitor after the launch and how to address any problems that pop up. Our 60-page guide to website redesign SEO. We’re sharing our top SEO tips for avoiding digital marketing disaster during a website redesign. 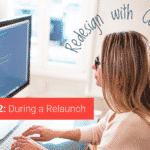 We explain the steps you need to take before, during, and after a relaunch to ensure your rankings, traffic, and conversions are preserved, and your new website is primed for success. We’re also providing helpful, downloadable checklists for each phase of the website redesign process. Backlinks, or links from external websites pointing to yours, are one of the most influential aspects of SEO and website authority. It’s unfortunately quite common for developers to recommend changes to the URL structure or to delete pages as part of a redesign plan. (If you’re early in the process, changing URLs is something we highly advise against, due to its potential to destroy rankings.) Both of these practices will result in broken backlinks once the new site is live, unless you have taken some preventive measures. If your team has followed SEO best practices , they will have written 301 redirects for any changing URLs and implemented them during the website relaunch process. 301 redirects are useful for preventing broken links and 404 errors, which can quickly ruin a visitor’s experience on your website, as well as harm your website’s authority with search engines. There was a time when 301 redirects were used with a bit of trepidation since they had a negative effect on PageRank. Fortunately, Google announced in 2016 that PageRank would not be lost through 301 redirects. Regardless, it’s still best-case scenario that your most valuable backlinks won’t redirect at all. So, it’s important to make efforts to correct the inbound link at the source when the URLs of top content must change with a relaunch. Your team should have identified your most valuable backlinks early in the redesign process. For any of these pages where the URL is changing, you will need to reach out to those linking websites and ask them to update the link. You can contact the website owner directly or use their contact form, but either way, be sure to be specific about what page on their site contains the old link, what specific link is changing, and provide the new, working URL. By ensuring backlinks point directly to your new website, you’re also ensuring maximum link equity will be factored into Google’s algorithm. Your development team should have used a tool like Ahrefs’ Site Explorer prior to launch to extract a comprehensive list of all the backlinks pointing to your website. From this list, they will have planned 301 redirects to prevent traffic loss (see next step). You can use this list to determine which backlinks are top priority for updating. Ask your developers to provide you with an exported list of your backlinks, sorted by domain rank (DR) of the linking website. Use this information to create a new spreadsheet of your highest valuable links. Any backlink with a domain rank of 50 or higher is considered extremely valuable. Depending on the number of backlinks with a 50+ DR, you may wish to prioritize further. Scan the links for domains that you recognize as high-quality and relevant. Take the time to investigate unfamiliar ones. You can make decisions based on the amount of traffic you receive from the linking page, or the relevance of its content, as well as the value of the page being linked to as it relates your overall marketing plan. For example, a website linking to you that only tangentially relates to your services, or brings in little to no traffic, or one that links to a product that you’re discontinuing, can be de-prioritized. You may even decide 301 redirects are enough, and making a direct request for an updated link is not worth your time. As you go through your links create a new column and add a priority scale: 1 for immediate – 3 for lowest priority. Add new columns for recording the email address for each website or article author, date contacted, and whether or not the link has been updated. Tools like hunter.io, can help you hunt down the appropriate contacts for each website. Sort your spreadsheet by your priority score and set a goal for making progress. But ideally, try to contact all of your highest priority links within the first month of relaunch. Start sending those emails! Be polite, and be sure to state explicitly which page(s) need updating on their end and provide the new URL. Remember, the people behind the linking website want to maintain the best possible experience for their users, as well, so updating a few links is likely in their best interest, too. You can also see links to your website in Google Search Console (Google Search Console → Search Traffic → Links to Your Site). Although you won’t be able to see the DR of the linking websites in Search Console, you will see who links to you the most. You can perform a manual review of those websites to determine their authority. A free tool like MozBar will show you the Domain Authority and other SEO metrics once you’re on the page. For backlinks that haven’t (or won’t) be updated, 301 redirects are vital. For the first few weeks after going live with your new website, it is important that your web team regularly check that 301 redirects are set up and working properly. This should be done about once or twice a week, using a crawler like Screaming Frog (the free version crawls up to 500 URLs), DeepCrawl or SiteBulb. Ask your developers about their plan to monitor 301 redirects after launch. They should be using a crawler like Screaming Frog, DeepCrawl or SiteBulb to check redirects at least twice a week for the first month after launch. Ask to be kept in the loop on their status. Your development team should have a plan to immediately address any errors. Links showing 404 errors or 302 redirects (temporary redirects) should be updated to 301 redirects. Redirects that point to the wrong destination should be corrected to the proper URL. If you happen to find a 404 error on your new website, or a misdirected page, notify your web team immediately, so it can be corrected and potential traffic is not lost. In the days and weeks following your website relaunch, you’ll want your development team to be vigilant about monitoring how efficiently your new website is being crawled and indexed by Google. Crawl errors can prevent your pages from being re-indexed properly, therefore effectively removing them from search results. This can quickly snowball into a disaster for your visibility. Crawl errors are prone to occur shortly after a relaunch. Be sure your team checks your Google Search Console account on a daily basis for at least a few weeks after launch, so they can spot issues as soon as possible, and fix them before they cause too much damage. Site errors prevent Googlebot from accessing your entire website, and include DNS errors, server errors, and robots failure. It’s vital to address site errors ASAP since they can completely block your new site from being crawled and indexed. Prolonged site errors will result in your website no longer showing up in search results. URL errors are problems on specific pages, and include errors such as 404s, access denied, and not followed. Google makes prioritizing these errors easy for your team by ranking the most important issues. The index status of your website is always important, but perhaps even more so immediately after relaunch. Your development team should submit an XML sitemap of your new website to Google to help move the process along. Keep in mind that the number of pages on your site will affect how quickly it’s fully reindexed. You and your team can use Google Search Console to monitor the steady progression of indexed pages. Your developers should be watching for issues that are slowing down this process so they can be addressed quickly. As time goes on, more and more of your new website content will be indexed, while indexation of the old website decreases. Once your old pages are no longer showing up in search results, and referring traffic is coming to the new site, you can safely stop monitoring the process—though it’s always a good idea to have your web team periodically check your website’s indexed pages in Search Console, just to ensure there are no new issues. Go to Google Search Console, then Google Index → Index Status. Search Console will show you the number of pages it has indexed, as well as a chart that tracks the number of indexed pages over time. In addition to frequent monitoring of your new website’s technical status, it’s important to use Google Analytics to monitor the volume and behavior of your organic traffic, and compare it to the benchmarks you set prior to launch. You want to ensure your performance metrics are headed in the right direction! There will always be some level of “dip” in website performance when Google is in the process of reevaluating your content and indexing your new website. Your goal is to return to past performance levels as quickly as possible, so you can safely refocus your digital marketing efforts on strategies to build organic rankings and traffic. Your organic traffic is the key indicator of the health of your website and the success of your relaunch. A sudden, significant drop in traffic that does not begin to rebound within a month or two, is a strong indication that your new webpages are either poorly optimized or not being crawled and indexed properly, and potential visitors are having trouble finding them. Similarly, if you notice visitors seem to quickly bounce off pages (high bounce rate), or don’t click through the site (low CTR), your content is probably not providing what they’re looking for, or the website is proving difficult to navigate. Go to Google Analytics → Acquisition → Overview → Organic Search. Change the dates in the top right to track changes in organic traffic over time. You can select a date range and compare to a previous period, which is useful when looking at metrics before launch versus after. Google Analytics displays traffic as both a graph and a chart. The chart contains information on the number of sessions, behavior metrics such as Bounce Rate and Time on Page, and goal completions (if set up). If you and your web developers have been following our advice in the first blog post about planning for a redesign, you will have chosen and recorded key benchmarks to track after the relaunch. Knowing how your new website is measuring up to the old one will give you insight into its overall success, and allow you to make informed, data-driven decisions on how to continue to improve your organic visibility and individual page rankings. Enter the URLs you are tracking into a tool like Ahrefs’ Site Explorer. You will see metrics like keyword rankings and backlinks, which can then be compared to a page’s performance prior to the redesign. Use Google Analytics to compare metrics on sessions, users, and engagement for a given time period. (Google Analytics → Acquisition → Overview → Organic Search). Keep an ongoing log of these metrics in a spreadsheet you will have created prior to launch, when you recorded the initial benchmarks from your old website. When it comes to tracking the success of new website, we recommend recording metrics at 1 week, 2 weeks, and then monthly for at least the first 3 months, post launch. The big kinks are worked out after your new website is live—you’ve ensured traffic is flowing, your website is properly indexed, and any vital backlinks are being updated. You can now set to the task of giving your new website the ongoing attention it needs to ensure continued gains in rankings, traffic, and ultimately leads. It may require incorporating a few new habits into your web management routine, but a relaunch is an excellent time for introducing new processes that will provide overall improvements to your digital marketing. Continue to update backlinks that still refer to old URLs. While you should have tackled your most valuable links in the first step of this process, you can now proceed to lower priority backlinks. Make it part of your web team’s routine to periodically check for broken backlinks and take the efforts to redirect or repair them. Set a schedule for benchmarking your website as it continues to grow. Benchmarking is vital to understanding how well your digital marketing efforts are working. Tools that automatically track key metrics, like SEMrush.com and Moz.com, are especially helpful when you need to extract insights to correspond with major events, campaigns, or initiatives. Be conscientious of your next redesign as you manage your new website. Whether it’ll be a full-blown relaunch, or something more iterative, the decisions you make now will help determine the difficulty or ease of the effort next time around. When you are thoughtful with things like page URLs and navigation as you add content, and when you stay on top of your metrics and backlinks, you can make quick work of the steps we’ve provided for successfully re-launching your website. By monitoring your metrics and staying proactive, potential problems can be addressed quickly and minimize damage to your website. Download our free checklist to begin your post-relaunch process! Our Website Redesign Audit includes a comprehensive review of your website’s SEO, traffic, content, backlinks, and technical structure, as well as visibility influencers, such as mobile-friendliness, voice-friendliness, and page speed. We build a thorough picture of your digital visibility and provide specific suggestions on how to move forward with your redesign. We’ve created a series of handy checklists to help website developers monitor their SEO after the website relaunch process. Download our Website Redesign Checklist, which includes step-by-step tips for ensuring the critical period after a relaunch is a success! As our SEO Lead, Tarun sees opportunity everywhere for our clients. His multidisciplinary background spans more than 10 years and fosters his holistic approach to SEO.